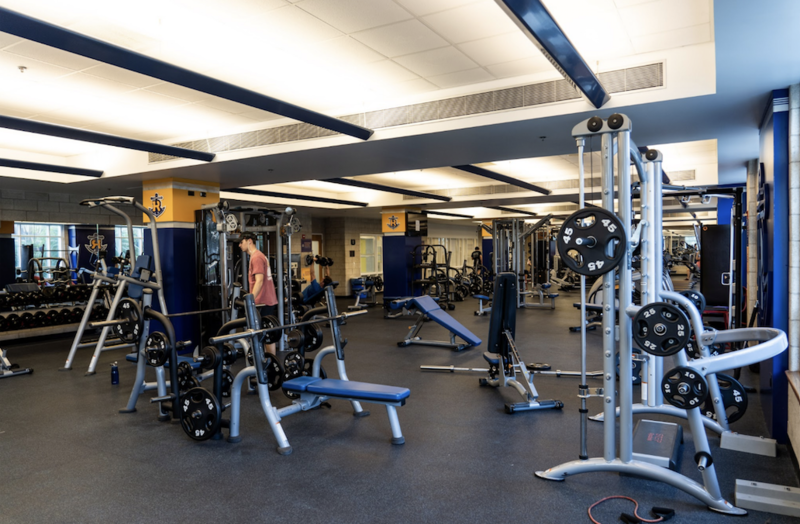 As you walk into the Alfond Sports Center’s Daryl’s Fitness Center, there is an overwhelming sense of humidity (regardless of the insufficient air conditioning) mixed with sweat and bad body odor. The atmosphere feels moldy and reeks of dirty towels. The floor is downright dirty. I do not recommend you try this because it is horrifying, but if you drag your finger across the floor, it will blacken your fingertip. Who even cleans the floors? How frequently? I need answers, Rollins. 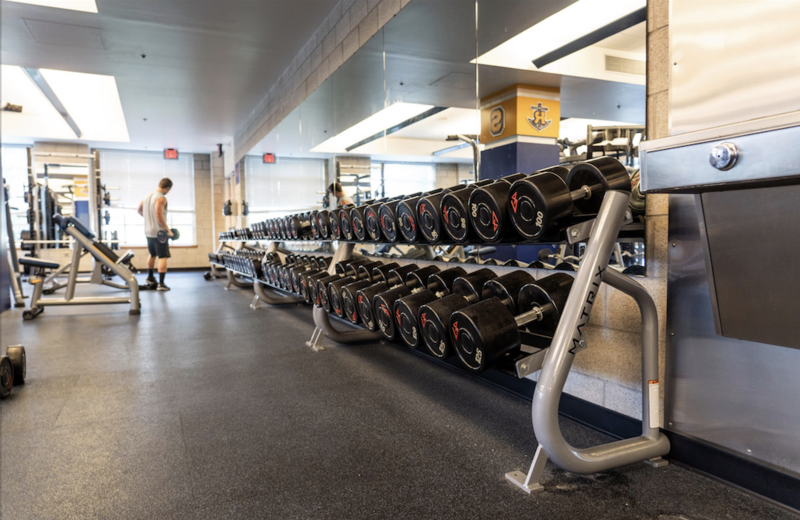 A gym that is properly cleaned is filled with germs, so you can only imagine one that is not—it is essentially a cesspool everywhere you turn. The handheld weights are covered in sweat, slippery to the touch. It is a struggle to find a weight that does not feel slimy, which is not only gross but unsafe. Once you finally have a grip, you stare into the mirror that has sweaty hand prints clouding your reflection. Ew. I honestly do not trust the mats. I do not think everyone wipes them down after using them, and given the state of the gym, it just seems nasty. I have to do abs at home. I pay how much to go to this school to do abs at home? Our tuition is to ensure that we have “grade A” resources while going to a beautiful campus. Much of Rollins lives up to that expectation, so I do not understand why the gym is so below average. I am not saying there are not enough machines or complaining about the overall layout, but I do think that the upkeep is really lacking. The machines are a completely different beast. Not only do people barely use the sanitation wipes, making the machines permanently smell like sweat and tears, but they are also only set to a specific body type. Basically, only 6’0 men can workout on the machines without having to adjust anything. Whenever I do leg day, it is a constant struggle. I am 5’4 and I look downright ridiculous when I extend my legs and my feet do not reach the leg curl. Don’t even get me started on the hip abductor machine. My feet do not touch when I sit all the way back, so I have to either do the alternative workout, which is grabbing the front of the machine and do in-and-out squats, which is just awkward for everyone, or I scoot forward. It not only hinders my workout, but it is also extremely unsafe to not be using the machines properly. Why not just adjust them? Well, the machines are complicated and there are no instructions, and in all honesty, they are so slippery that I am worried for my safety. They are heavy weights; why would I risk it? The gym is not only dirty, but it has ineffective machines and can be a bit dangerous. During my time at Rollins, they have done renovations to better the gym. However, the upkeep since these renovations are lacking and it is ruining the overall experience.